I set out with one goal in mind, to build a one of a kind off-road attention seeking beast. From the get-go, I wanted a reliable car with just as reliable components and accessories. 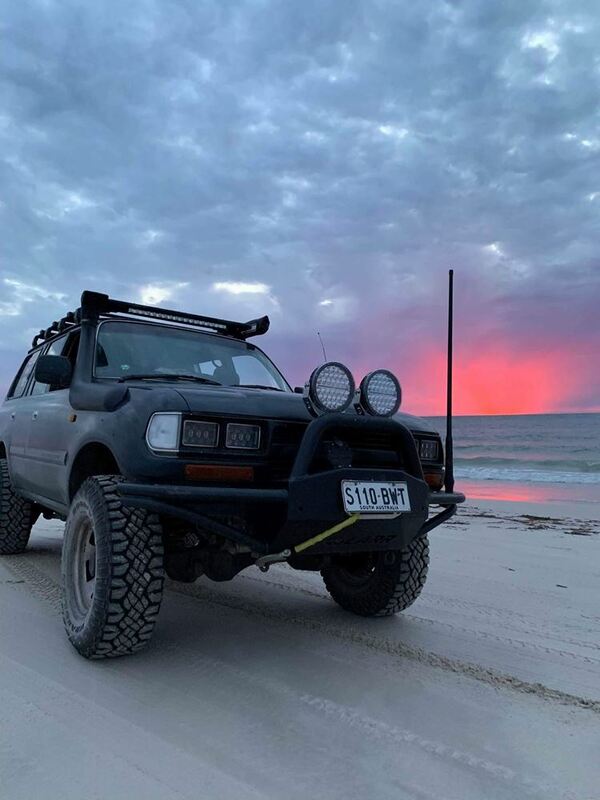 I wanted to be able to trust what was going in the car that it could get me to the toughest, most isolated and remote camps throughout Australia. When it came to 12-volt accessories this was a very easy decision to make on what products I was wanting to install in the 80 series. I contacted the guys over at REDARC in Lonsdale and spoke to Hugh who was kind enough to supply me a BCDC in-vehicle battery charger and Tow-Pro Elite electric brake controller. The second you unbox the products it’s obvious they are built to last and engineered to take whatever the rough terrain of the Australian outback throws at it. The BCDC DC-DC charger has been installed in the rear drawers of the car, I decided to do this to see what the charger was doing and keep it with the rest of my 12-volt accessories. 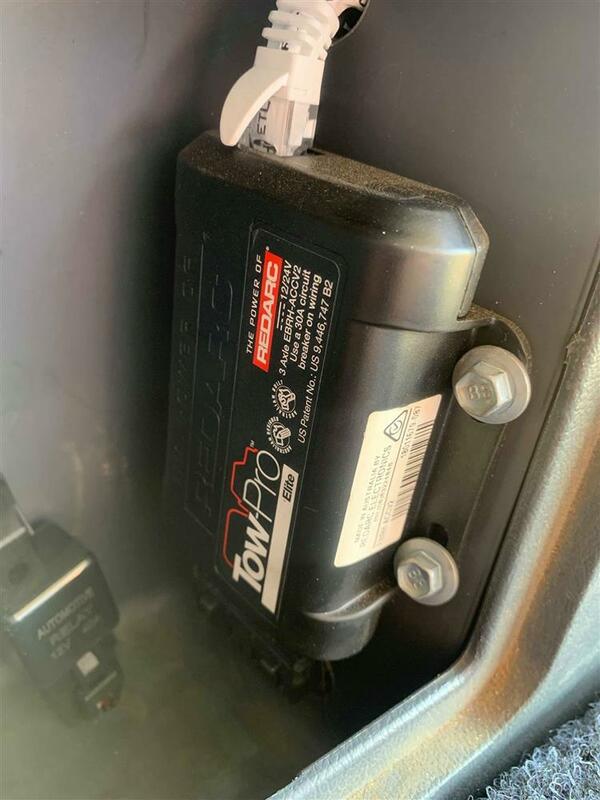 The team at REDARC have put together an exceptional manual making it ever so easy for anyone with the right tools and knowledge to install not only the charger but also the Tow-Pro Elite. I’m running two batteries under the bonnet as most 4WD owners are doing these days and my REDARC charger is keeping these batteries connected. Without a doubt, my favourite feature of the BCDC charger is the fact that it’ll never run your start battery dry. With this in mind I know I can run my Waeco fridge along with all my Hardkorr camp lights all night for multiple days and the start battery will always have more than enough power to crank over. Another feature that I am very impressed with is the fact the team at REDARC have designed this charger with a separate solar input, this means you can throw a separate solar panel up on the roof racks or a set up a portable panel, plug it into the BCDC charger, and it’ll keep the secondary battery powered for as long as sun is shining. The BCDC charger is sitting alongside my other Tow-Pro Elite, which I am yet to have an issue with. I live on a farm, and you’d imagine we do a lot of heavy towing such as hay and stock, straight away I could feel an improvement in the control I had in towing my trailer. My Landcruiser weighs just over 2 ton and I had about 1700kg behind it but with the assistance of the Tow-Pro Elite it felt like I was towing a small trailer, I’ve had friends and family drive my Landcruiser with a load behind it and they have all been impressed with how the Elite performed, noting that it's interesting how much of a difference such a small compact unit can make. Since then, many of my friends have purchased their own. The thing that makes REDARC stand out above the crowds and the other manufacturers is the fine details that go into the design of each product and how they have stood in the consumers' shoes and figured out what will be best for our needs. Not only that but they are very down to earth people to deal with and can answer just about any 12-volt related question known to man through their hassle-free and accessible customer service. It’s been an honour to run REDARC products in this build and I look forward to what 2019 has in store for us.